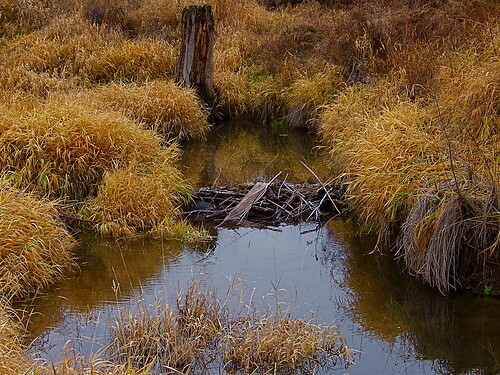 A month or so ago along a small stream about four miles up from the river, I encountered some beaver activity; several dams across the stream with nice ponds and one large lodge all ready for winter. Not far from the upper pond the beavers had fallen a fairly good sized tree and carried all of it away to stock their winter larder… except for this piece which was much shorter than all the rest of the pieces. 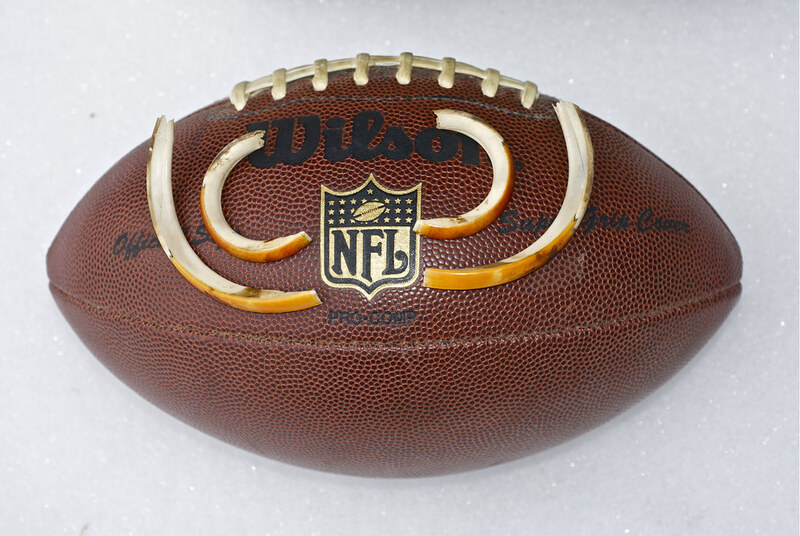 Because of it’s size and shape I perceived it to be their football and since the season was over and they had obviously discarded it I decided it would be OK to take it home with me, although it added nearly 20 pounds to my pack. 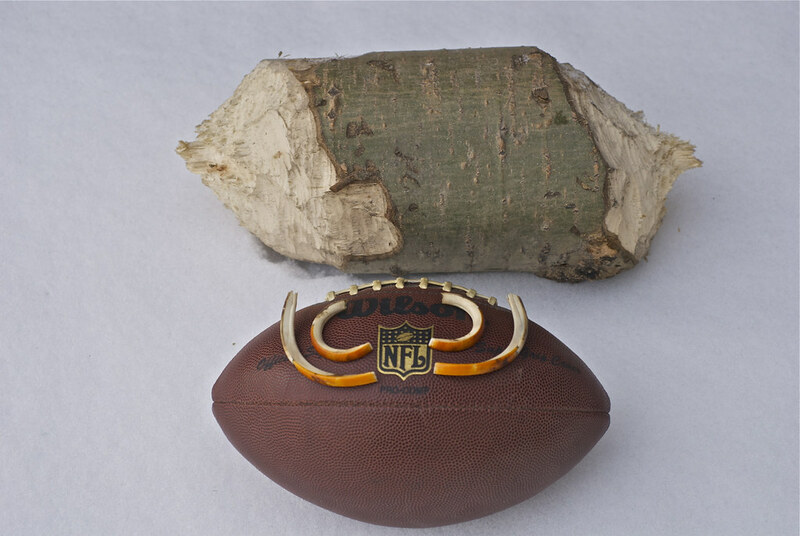 On top of the people’s football you can see four front teeth that I had extracted several years ago from a beaver down by the river after realizing that he had no further use for them. 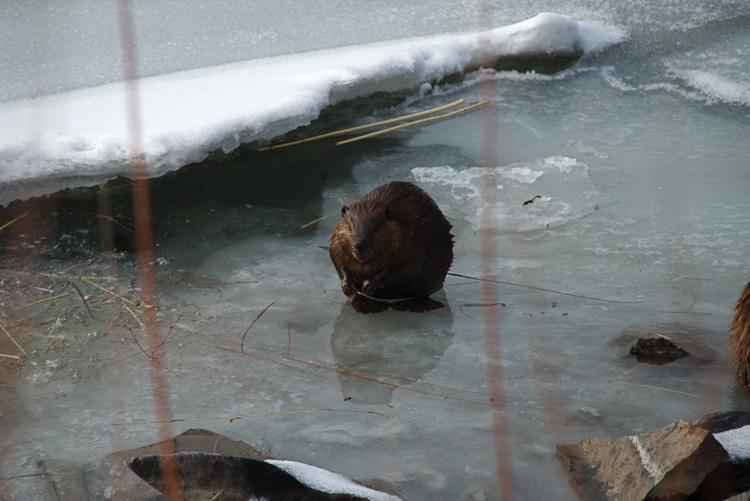 I thought they might be interesting for anyone who has not seen the size of a beaver’s front “choppers”. Well, sort of winter; technically it is winter even though it doesn’t look like it. 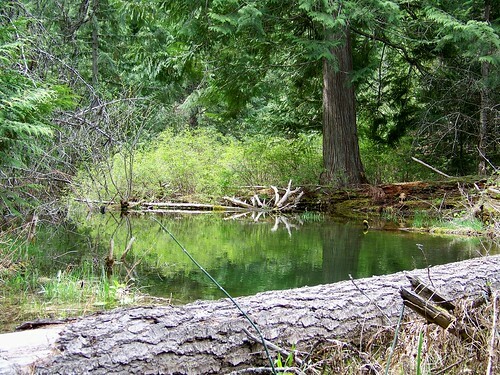 This pond was made by some beavers who put together a dam across the mouth of a little stream just before it enters the river. It has been cold enough to create some fairly substantial ice on the spillway from the dam (but not substantial enough to keep my boot from breaking through it when I walked across on it). Brrrr! Wrong lens; toward the light… well, that’s the world outdoors. Wish I could have had the longer lens though (and that I hadn’t had to shoot through willow branches). Looking for a good angle for a landscape shot of the river, I spotted something familiar in the water just over the bank 50 yards ahead . 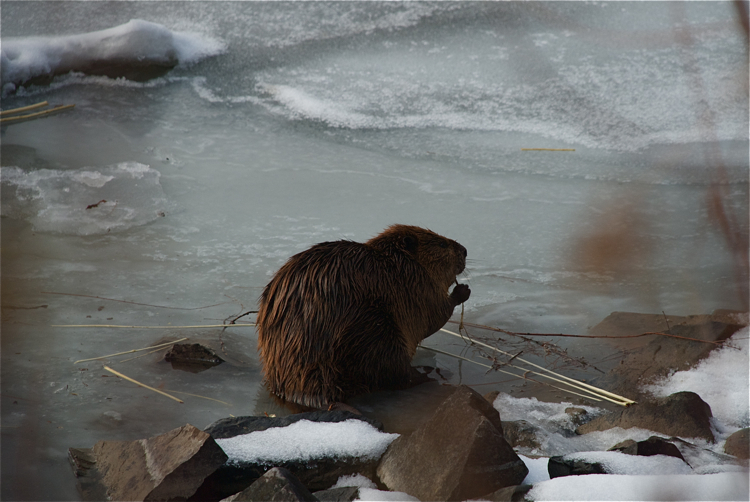 A beaver was sitting in the water near shore eating the bark of a willow that he had just cut. 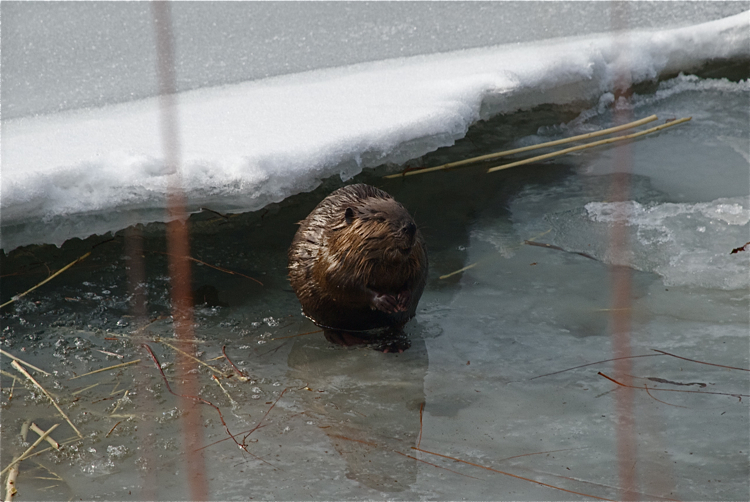 As I stalked nearer, being as quiet as I could, his wife appeared from under the river ice (I assumed she was his wife: they’re quite traditional critters you know) and began to feed with him. I was finally able to get these shots from about twenty yards. The first three photos are the male who is larger and his fur had somewhat dried off from being out of the water for awhile. The last three are of his wife who was still quite wet. I enjoyed the piece of ice on her head in the fourth photo (she didn’t seem to even notice it) and included the fifth photo because it shows her big webbed rear feet as well as the fingers on her hands. His wife is a cute little thing, isn’t she! 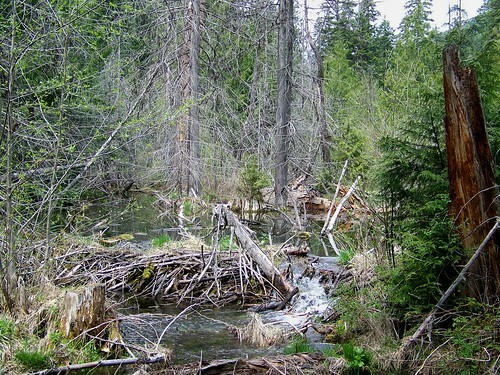 Not far upstream from here, a small stream meanders through the low land just off the river and in that small channel some beavers have erected several small dams and a couple of small lodges. It’s a pleasant place, and I’ve taken to moseying through it fairly often and have taken a few photos of the seasonal changes. I’m already looking forward to the changes that spring will bring. 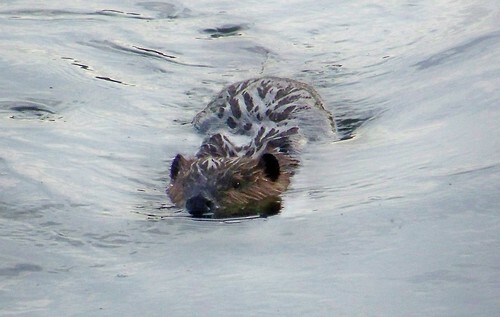 After about a dozen casts, this evening’s fishing was interrupted by an old favorite visitor, a beaver. 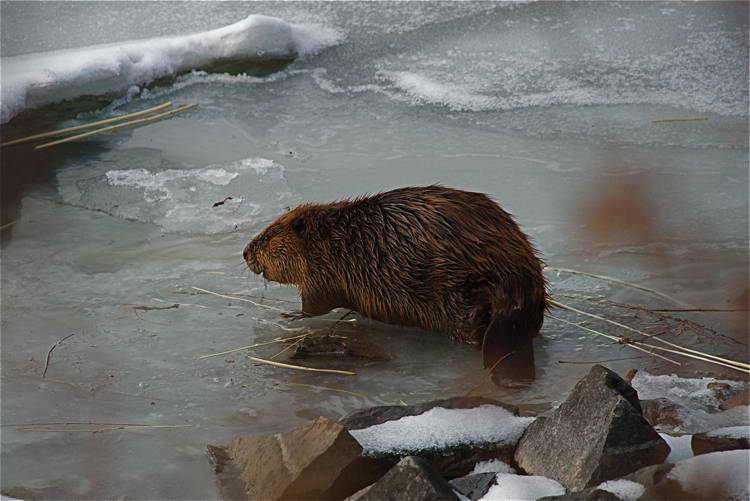 I enjoy watching beavers under any condition, but they’re especially fascinating when swimming in the open water of the river, where there are varying currents, rocks, pools, eddies; anything but smooth water. 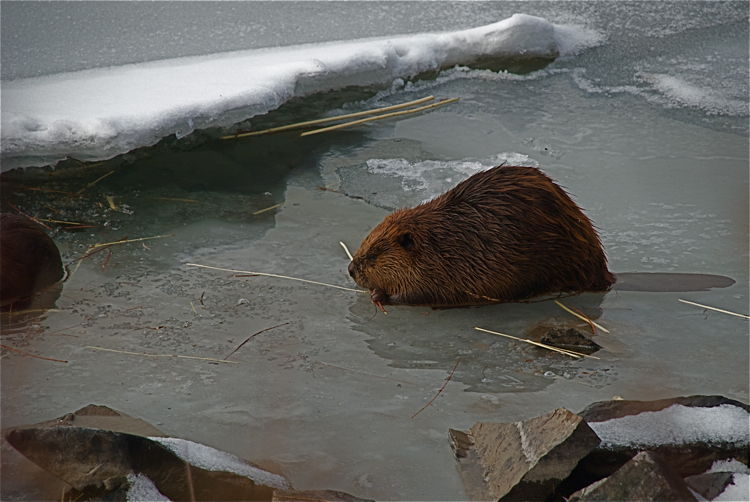 Beavers know how to negotiate all kinds of conditions with the utmost confidence and stay under complete control. They are truly some of the world’s greatest swimmers! 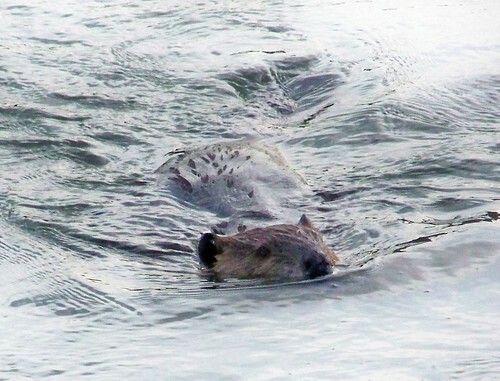 I have watched beavers swim perhaps a hundred times, but the lens of a camera sees them quite a bit differently than my eyes do and has the ability to stop their action. 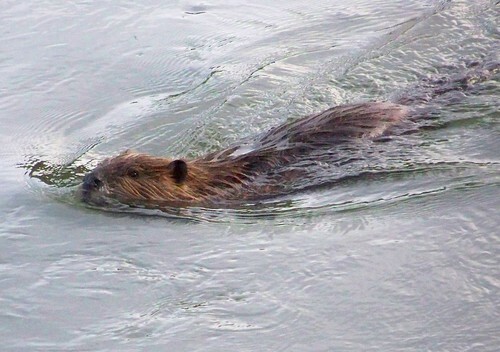 I now have a somewhat different understanding of a beaver in water. He has seen me, but since I’ve frozen any motion, he’s not sure, so he heads my way just to check the situation out. I am fascinated by the turbulence in the water that the camera captured. As he swam, he didn’t head directly toward me, but zigzagged his way. I took 6 photos from the side and amazingly they all look almost exactly the same. His swimming technique varied only slightly. It was fortunate that any of the photos were usable because the sun had set and I had to shoot directly toward the bright western sky. No, he‘s not in a snow bank. There’s actually about 20 feet of water under him and he‘s swimming against a current of perhaps 4 or 5 mph. 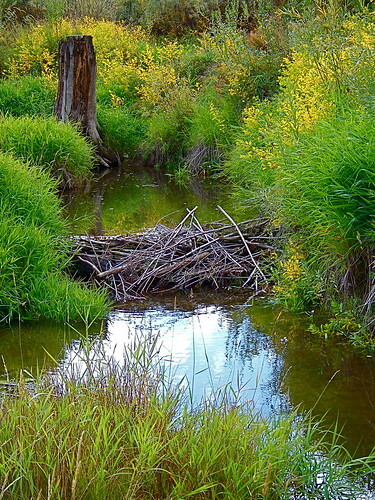 Lately I’ve been thinking about an area of beaver dams not far from home and today decided to visit there. 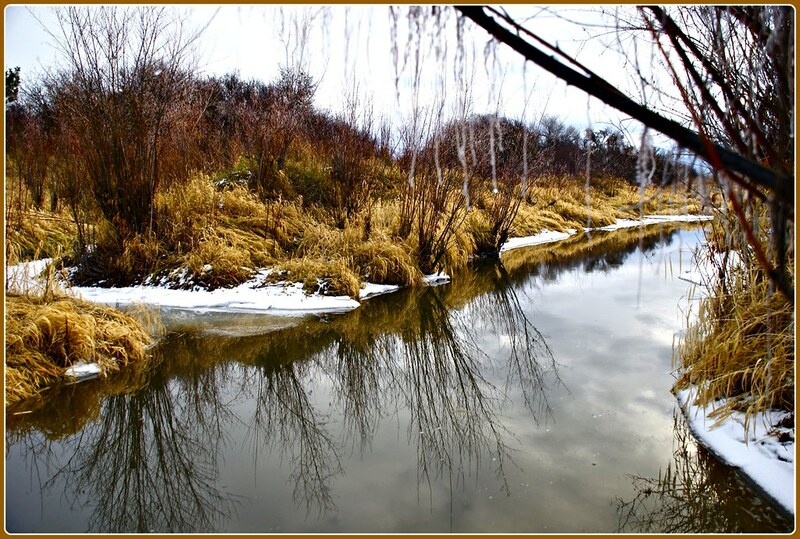 Because I didn’t go prepared to wade in water up to my waist (it‘s now well into the spring runoff), I wasn’t able to get to where I wanted. Instead, it turned our to be a day of flowers. This one is a Heart-leafed Arnica arnica cord folia (Sunflower family). 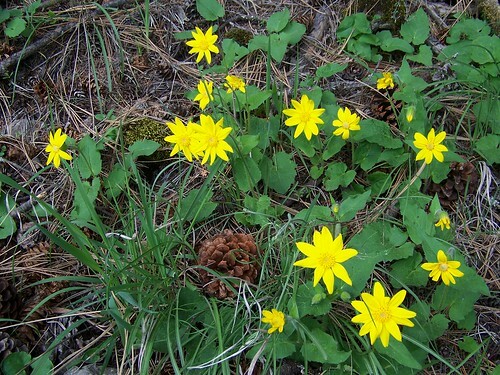 It looks a lot like a close family member, the Arrowleaf Balsamroot, but while the latter is a great food plant, the Arnica can be used as a drug. 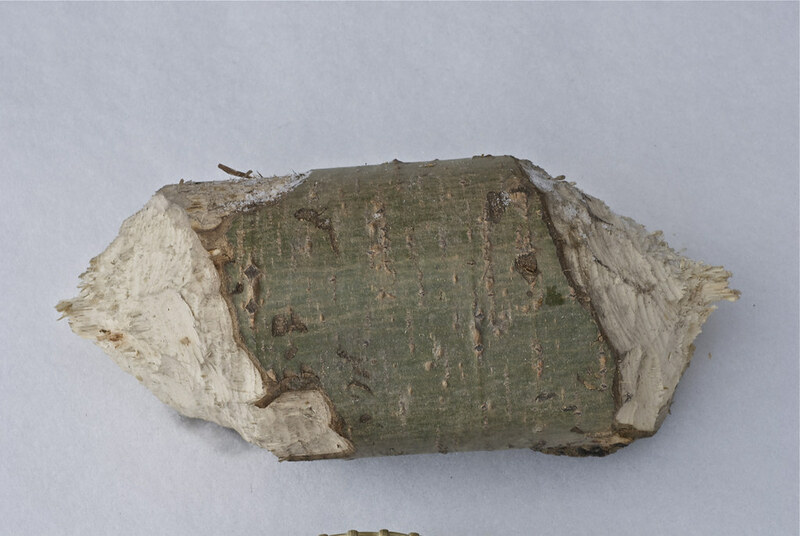 The flower is the most potent part, and when processed, can be taken orally to raise body temperature. Used as a salve externally, it aids in keeping down infection. 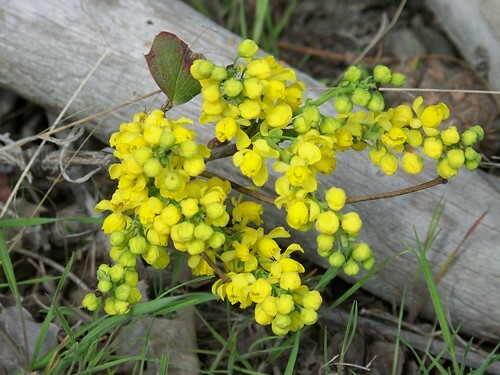 These yellow blooms on the Oregon Grape will turn into tiny grapes later in the summer. The plant is only a few inches tall, and the fruit is a light smoky-blue color. It’s edible, but compared to these little grapes, a lemon tastes like a sugar cube! It’s always fun to see someone who isn’t familiar with it try some. 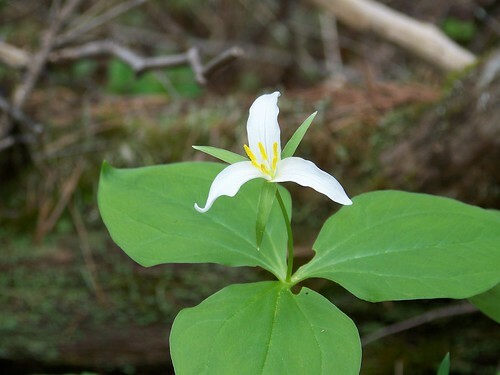 Wake Robin; Birthroot Trillium ovatum (Lily family) was used in various ways by the Indians as an aid to childbirth, a love medicine and even as an eye wash. Aside from those uses, the leaves may be boiled and eaten as greens. The flowers are 1 to 2 inches across. 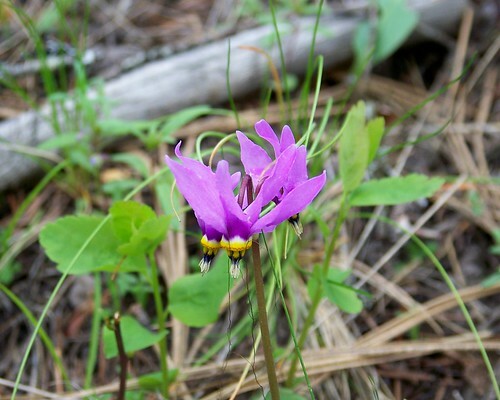 The Shooting Star, Dodecatheon pauciflorum (Primrose family), was one of my favorites when I was a child. We also called them “Rooster Heads”. The flower is ½ to 1 inch long. It was always one of the most popular wild flowers for children to take home for their mothers. 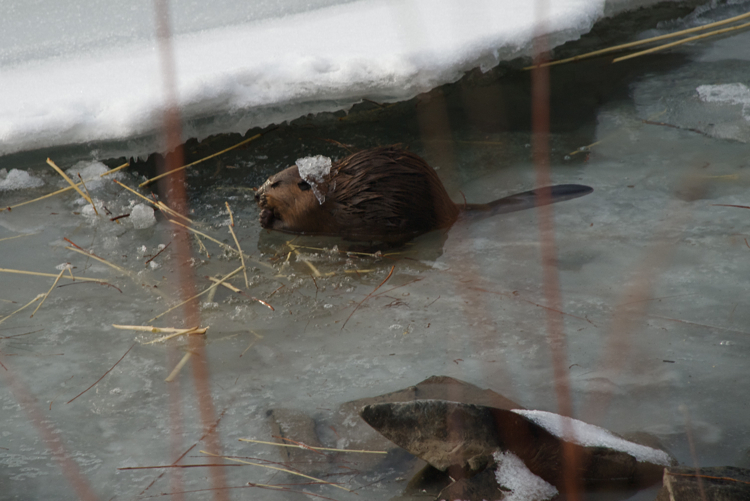 Despite being unable to visit the beaver sites I wanted to, I was able to see part of one on the outskirts of their area. 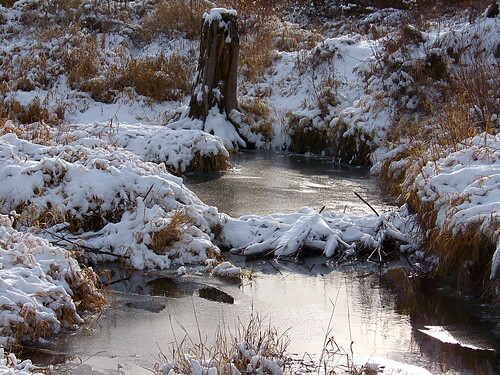 Over an area of about a half mile of this small stream, they have built a complete development, with many dams, the overflow of each feeding the next. I’ll visit again around mid summer and perhaps catch one or two of the residents out and about.